B’s Pet Delivery provides exceptional, caring, and professional pet relocation services for pets of many shapes and sizes, and many species and breeds. Our pet transport services provide a pain-free, stress-free, safe and sanitary trip for your pets, complete with the peace of mind you will have knowing that we are a USDA licensed and insured pet mover. 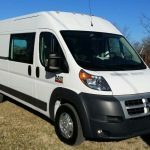 We transport pets because it is what we love to do! It has always been more than just a job. We have been providing our services since 2008, and look forward to providing the same quality and loving service in the years to come. 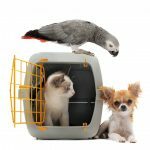 Pet moving services for most pets that cannot fly due to airline restrictions, etc. Why Choose Us As Pet Your Transport Provider? We understand that situations arise that often leave pet owners (or potential pet owners) in search of a means of transporting a dog, cat, or any other furry, scaly, or feathered friend. We owe it to our pets to make the best possible choices when it comes to reliable, safe, and experienced transportation. Please Contact us for a free, no obligation estimate for our pet services!